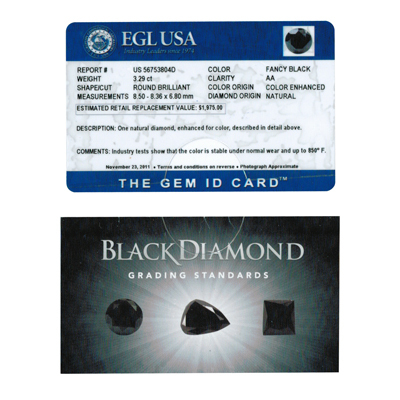 3.29 Cts of 8.50x8.36x6.80 mm EGL USA Certified AA Round Brilliant ( 1 pc ) Loose Treated Fancy Black Diamond . 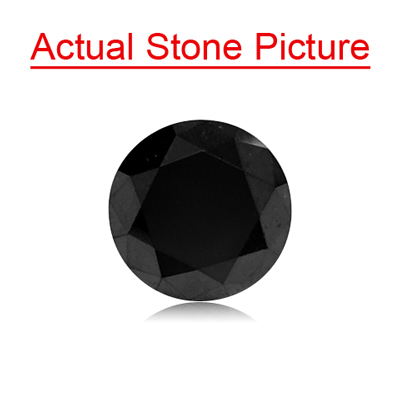 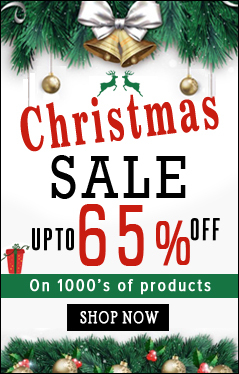 This is an AA quality EGL USA Certified Loose Treated Round Brilliant Black Diamond measuring 8.50x8.36x6.80 mm. 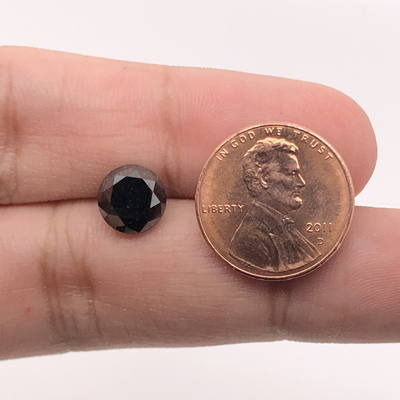 Approximate Black Diamond Weight: 3.29 Carats. 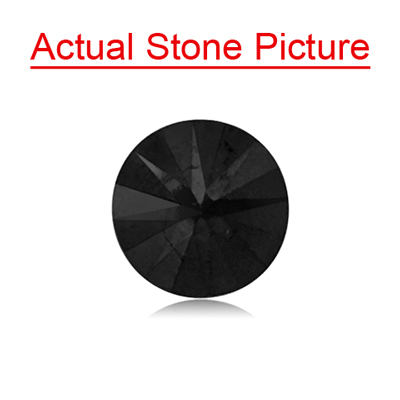 Estimated Retail Replacement Value of the Black Diamond is $1975.00 . 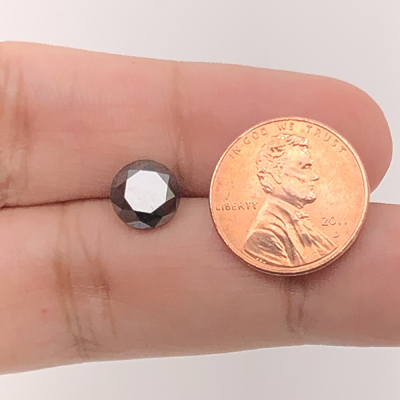 This is a natural diamond that is treated to enhance the color.